At our appliances outlet, you’ll be able to find a large assortment of products including tools, cabinets, and storage items. 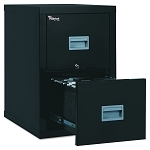 We carry rolling garage cabinets, tool carts, file cabinets, gun safes and many more options. Head on over to our outlet in Thomasville, NC near Greensboro, NC. We sell our products throughout the US and North Carolina including Salisbury, Concord, Randleman, Asheboro, Charlotte, NC & all surrounding areas.